Think you know what it takes to be successful and happy? Think again! If you were to ask anyone what factor contributes most to being successful and happy, you can be virtually certain that not one of them would mention loyalty. And that's a problem. 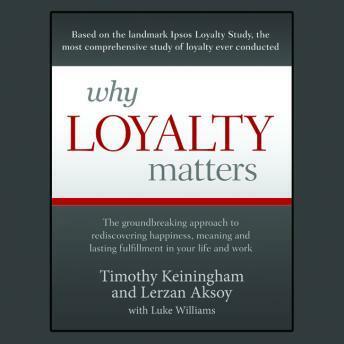 Grounded in the most comprehensive study of loyalty ever conducted, Why Loyalty Matters proves that when it comes to business success, relationship success, and even our overall happiness, loyalty is the difference maker.